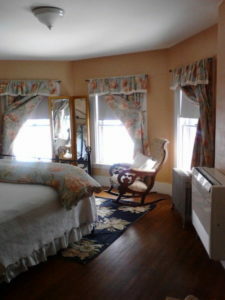 This charming round room with its bay windows looks out onto the treetops of the graceful maples in the front of The Inn. 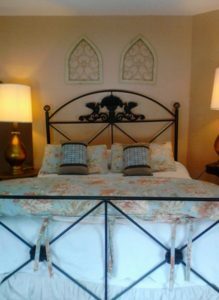 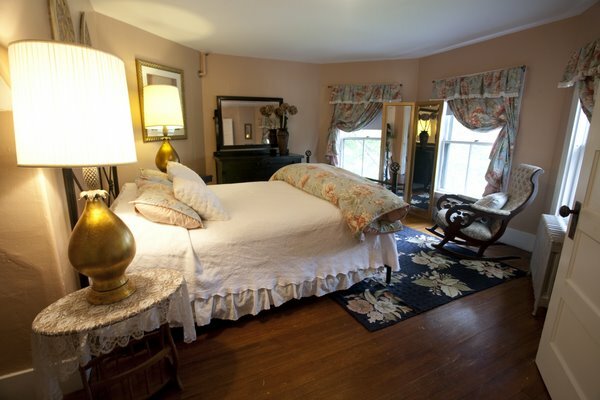 The soft rose-colored walls and flowery chintz fabrics make this room a favorite pick for guests looking for a traditional country inn. 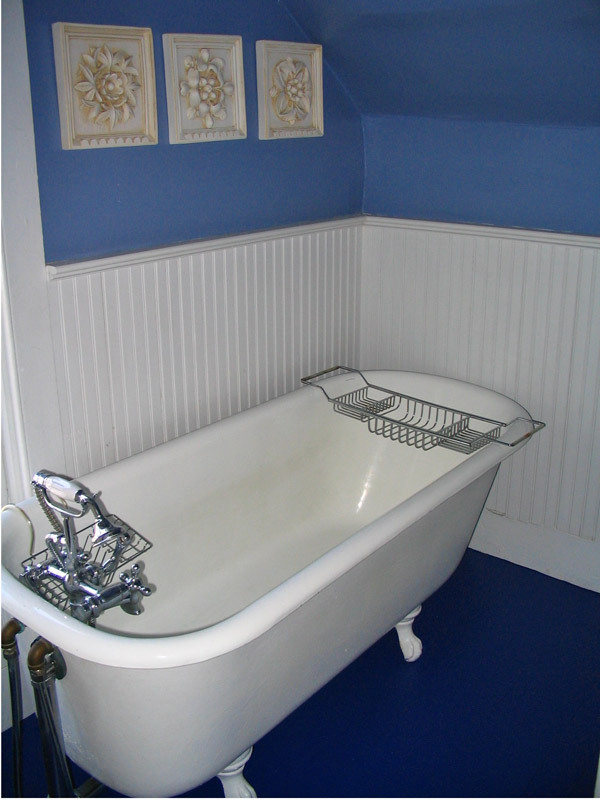 The bath has the added charm of a ball & claw tub with hand-held "British Telephone" shower - just made for a long soak.